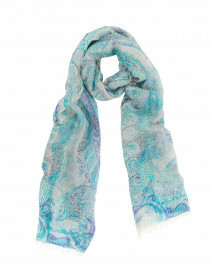 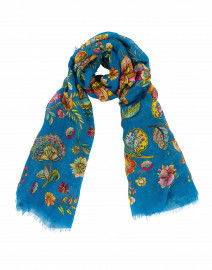 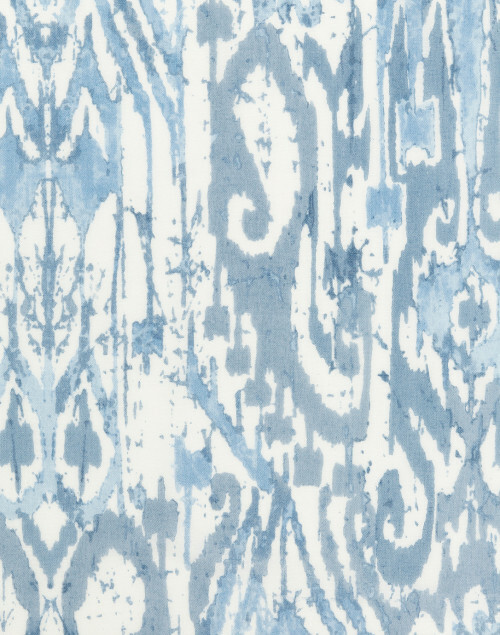 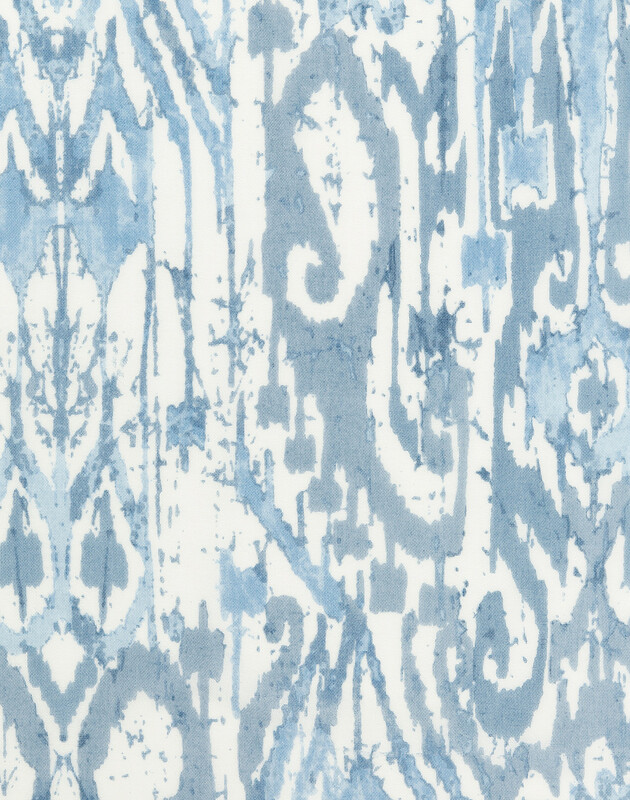 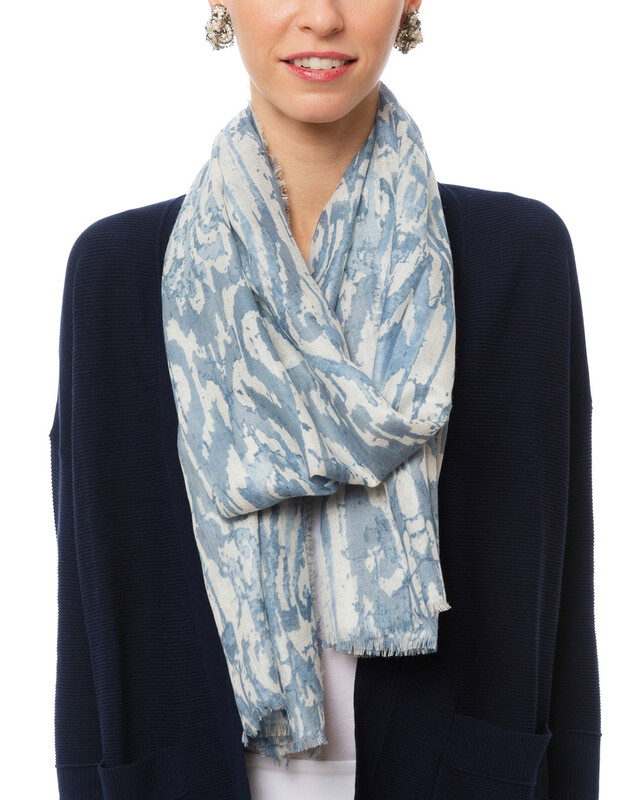 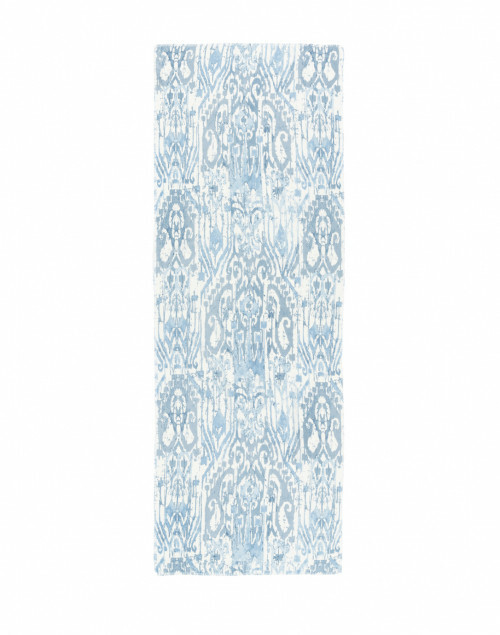 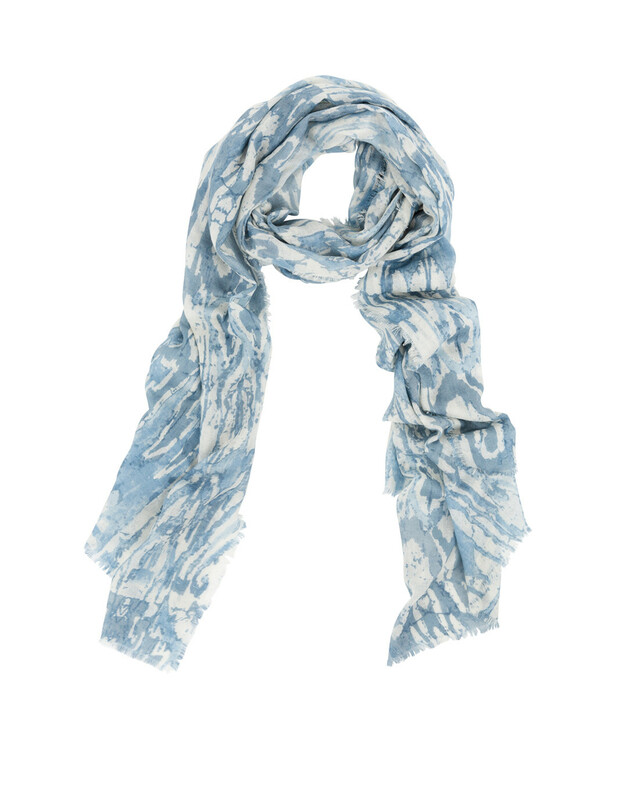 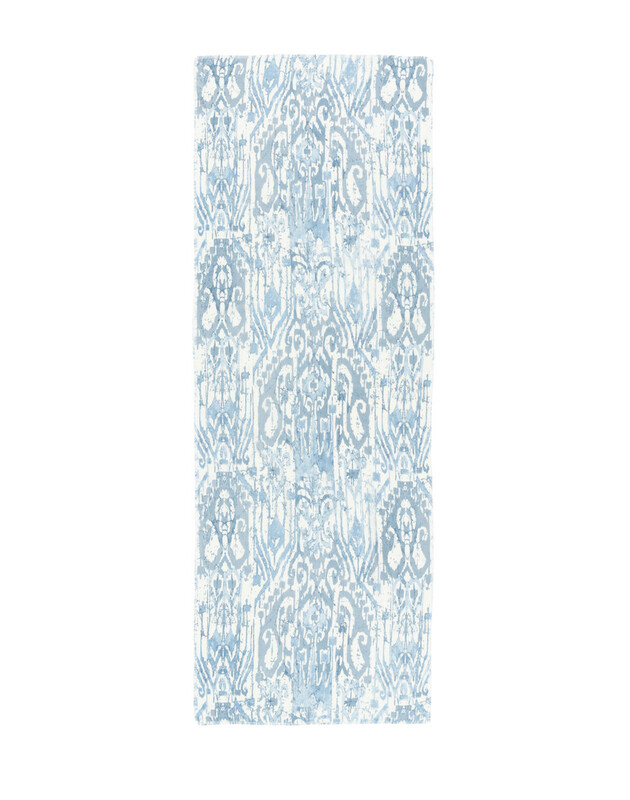 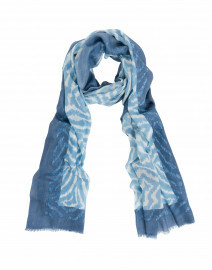 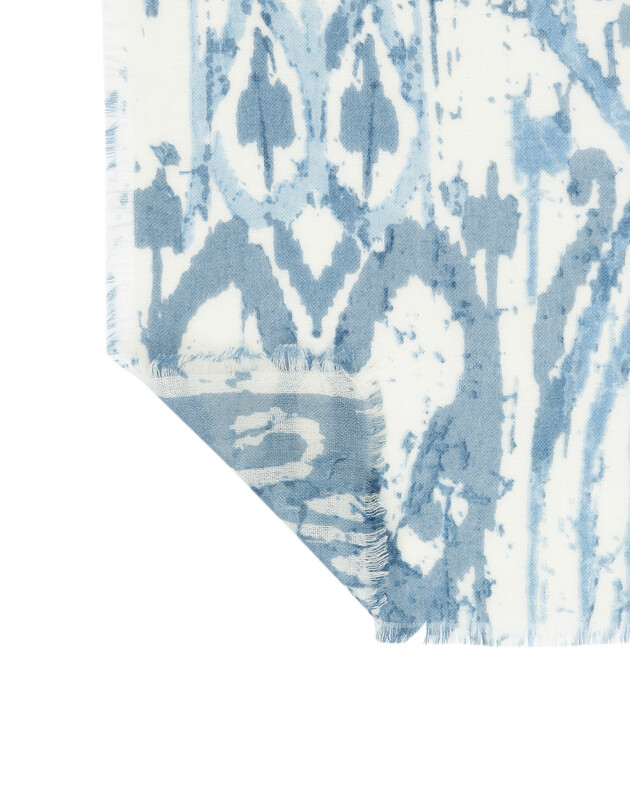 In a pretty pale blue, this printed Ikat scarf from Kinross wraps effortlessly around the neck for an urban-chic finish. 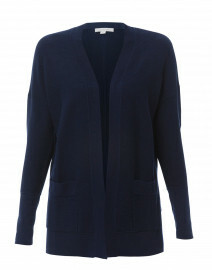 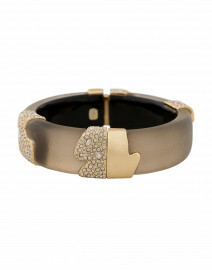 It’s crafted from a blend of soft cashmere and silk and trimmed with eyelash frayed ends. 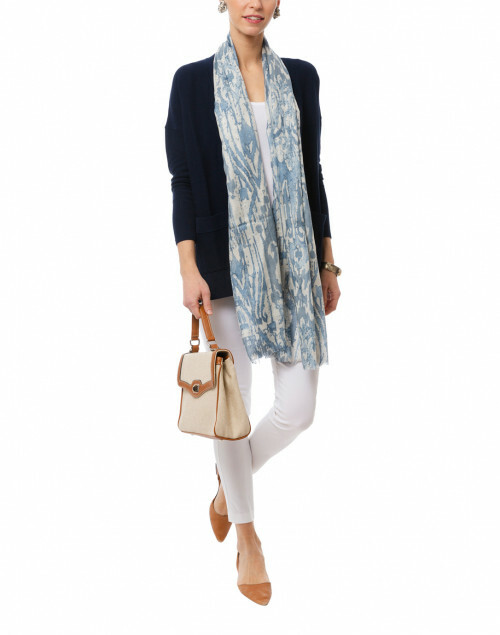 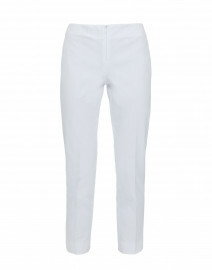 Layer it over a knit blazer and white jeans for a stylish ensemble.